Another late game comeback for the Milwaukee Brewers, who knocked off the Cincinnati Reds 4-3 in their series opener at Great American Ballpark on Monday night. Christian Yelich didn’t hit a home run in a fifth straight game, but he did double with two outs in the ninth inning and then score on Ryan Braun’s double to give the Brewers the game winning run. Yelich was 0 for 4 before his big 9th inning hit. Alex Wilson earned the win and Josh Hader recorded his third save of the season. Jesus Aguilar had a two-run single to get the Brewers on the board and Mike Moustakas made it 3-0 with a run-scoring double. The Brewers and Reds play game two of the series tonight. Jhoulys Chacin (1-0) gets the nod for the Brewers. Anthony DeSclafani goes for the Reds. The Milwaukee Brewers blanked the Los Angeles Dodgers 4-0 in game 3 of the NLCS, giving the Brewers a 2-1 advantage in the best-of-seven series. The Brewers have now pitched shutouts in three of their six postseason games. 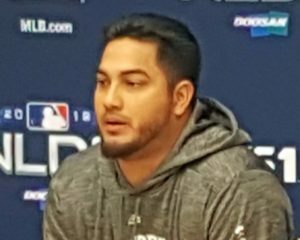 Jhoulys Chacin tossed 5 1/3 innings of shutout ball to start, allowing just three hits while walking two and striking out six. The Brewers used a total of five pitchers in the win, capped off by Jeremy Jeffress. Jeffress loaded the bases in the ninth and then pitched out of the jam by striking out the last two hitters to preserve the victory. The Brewers jumped out in front in the very first inning. Christian Yelich drew a one-out walk and Ryan Braun doubled him home. The Brewers wouldn’t score again until the six when Travis Shaw tripled and scored on a wild pitch to make it 2-0. The Brewers scored their final two runs in the seventh when Erik Kratz doubled and Orlando Arcia homered to right. The Brewers will look to go up 3-1 in the series against the Dodgers with game four on Tuesday night. Gio Gonzalez (0-0, 4.50) pitches for the Brewers. The Dodgers will send Rich Hill (0-0, 4.15) to the mound. Monday’s win guaranteed at least one more game at Miller Park, but it also put the Brewers in a position to win the series in Los Angeles. The Milwaukee Brewers blanked the Colorado Rockies 4-0 on Friday at Miller Park, and is now just one victory away from winning the series and advancing to the National League Championship Series. Jhoulys Chacin, on short rest, pitched five shutout innings while striking out three and walking three. It’s also the 10th straight win for the Brewers as the series now shifts to Coors Field in Denver for games three and four. The Brewers had struggled with runners in scoring position in the first two games of the series, but they finally saw their luck change in the 8th. With the bases loaded, Mike Moustakas singled to right to push their lead to 2-0. Then, after Hernan Perez and Travis Shaw struck out, catcher Erik Kratz singled to score Braun and punch runner Orlando Arcia to make it 4-0. Jeremy Jeffress, who had already worked the eighth, returned to pitch the ninth and lock down the victory. 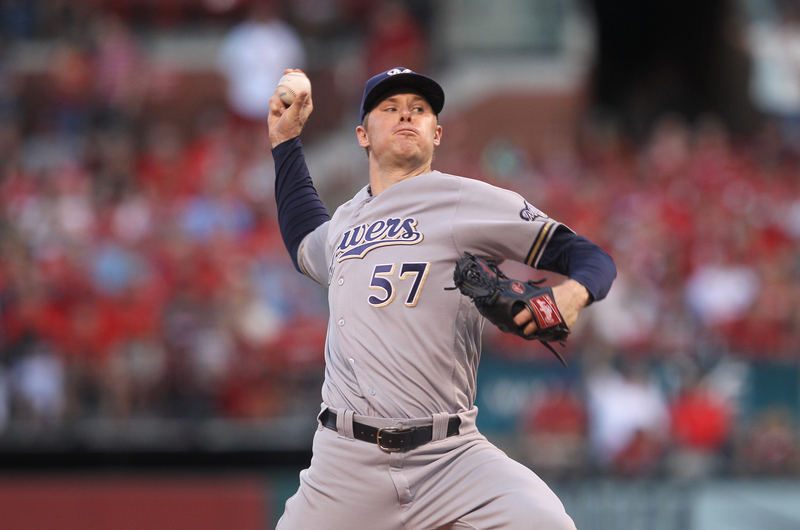 The Brewers also got scoreless relief from Corey Knebel, Joakim Soria and Josh Hader. Saturday is a workout day for both teams at Coors Field with game three set for 3:37 p.m. CT on Sunday. Lefty Wade Miley (5-2, 2.57) will start for the Brewers in game three. The Rockies will counter with German Marquez (14-11, 3.77). 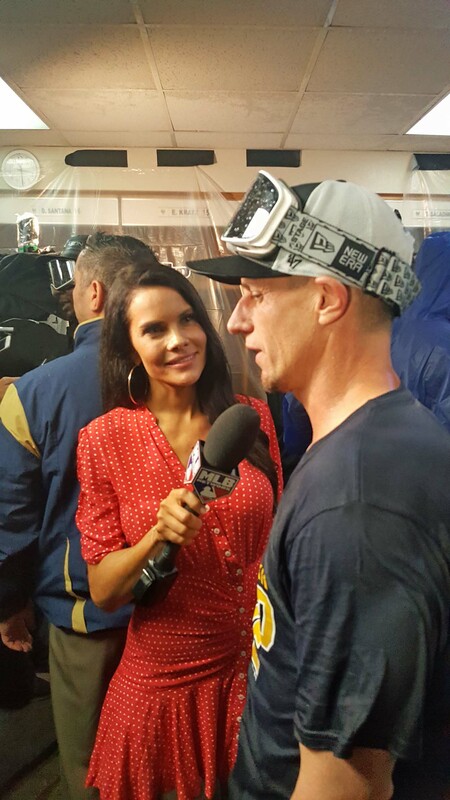 Craig Counsell’s celebration interrupted by questions from a reporter. The Milwaukee Brewers finished the season with eight-straight wins and the eighth is the one that won the Central Division title over the Chicago Cubs. It was a battle like many others this season between the two teams and when the smoke cleared, it was the Brewers coming out on top, 3-1 over the rival Cubs. 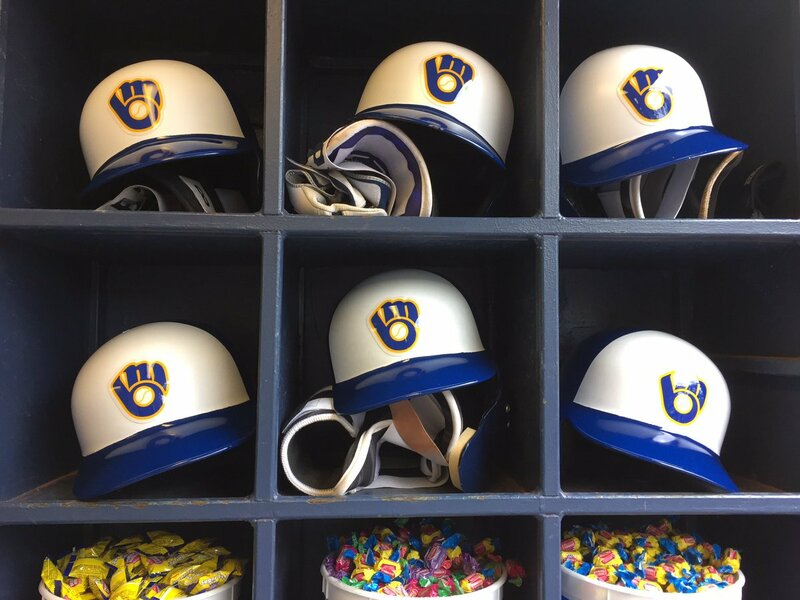 The win gave the Brewers the best record in the National League at 96-67 and guarantees them home field advantage throughout the National League playoffs. The Cubs, with a 95-68 record, the second best in the National League, but it gets them nothing more than a spot in Tuesday nights wildcard game. If the Cubs beat the Colorado Rockies in tonight’s wildcard game, they would meet the Brewers in Milwaukee in the first round NLDS starting Thursday night at Miller Park. The Brewers went 20-7 since the first of September and trailed the Cubs by five games on Labor Day and 3 1/2 games on Sept. 18. At that point in time, most followers believed the Brewers were playing for a wildcard. But the Brewers themselves never gave up on the division. 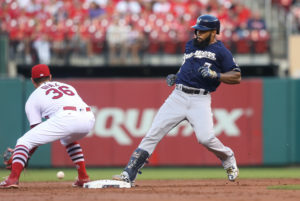 Eric Thames tripled and scored on a throwing error in the eighth inning and the Milwaukee Brewers went on to knock off the St. Louis Cardinals 6-4 at Busch Stadium in St. Louis on Monday night. Ryan Braun homered and Christian Yelich drove in a pair of runs as the Brewers won for the fourth time in their last five games and for the 90th (90-67) time this season. They moved three games in front of the Cardinals for the top wildcard spot in the National League. 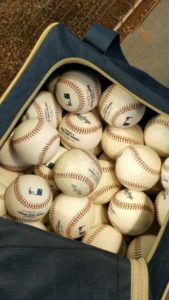 The Brewers also drew to within 1 1/2 games of the Central Division leading Cubs in the Central Division after the Cubs fell to the Pittsburgh Pirates 5-1. Rookie Freddie Peralta tossed seven shutout innings and added an RBI single at the plate to lead the Milwaukee Brewers to a 4-0 win over the Cincinnati Reds on Wednesday afternoon at Miller Park. Peralta (6-4, 4.02) allowed just three hits with two walks while striking out seven. Peralta has now allowed just 40 hits in 69 1/3 innings. The Brewers gave Peralta an early lead when Christian Yelich led off the bottom of the first with a long home run to left-center for his 21st home run of the season. The 21 home runs matches his career high back in 2016. Peralta put the Brewers up 2-0 in the fourth inning when he singled home Ryan Braun from second base. The Reds intentionally walked Manny Pina to get to Peralta, who entered the at bat hitless in 22 at bats this season. Run scoring singles by Christian Yelich and Lorenzo Cain in the sixth plated the final two runs for the Brewers. Yelich finished with four hits.